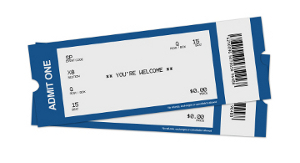 Sample Tickets, actual product will vary. BEST VIEW OF THE FIREWORKS ! Watch the fabulous fire works display from one of the best viewing positions in Auckland!